Commercial Grade Quality | Perfect for Art, Photography, Signage, & a Multitude of other Creative Image Display Solutions. 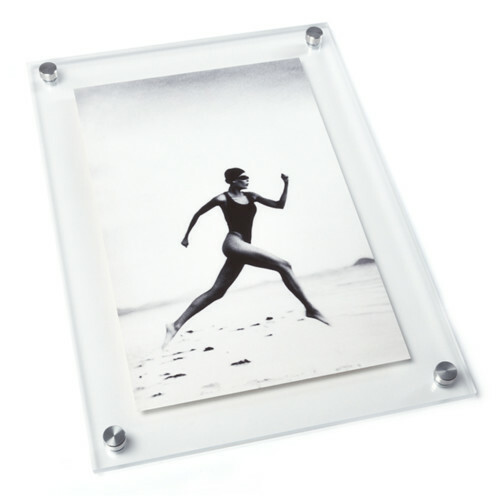 ALUMA’s VETRO Modern Acrylic Wall Frames are among the highest quality acrylic picture frames on the market today. You will see why the US Military, Boeing, Paramount Pictures and many other top companies use ALUMA for their important projects. We guarantee you will love all of our modern products and services. 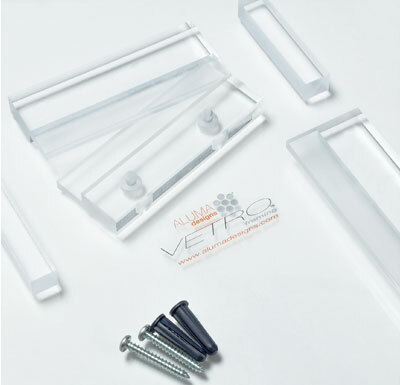 The Vetro modern acrylic frame is Hand-Made in the US using premium grade acrylic and high quality brushed metal hardware. 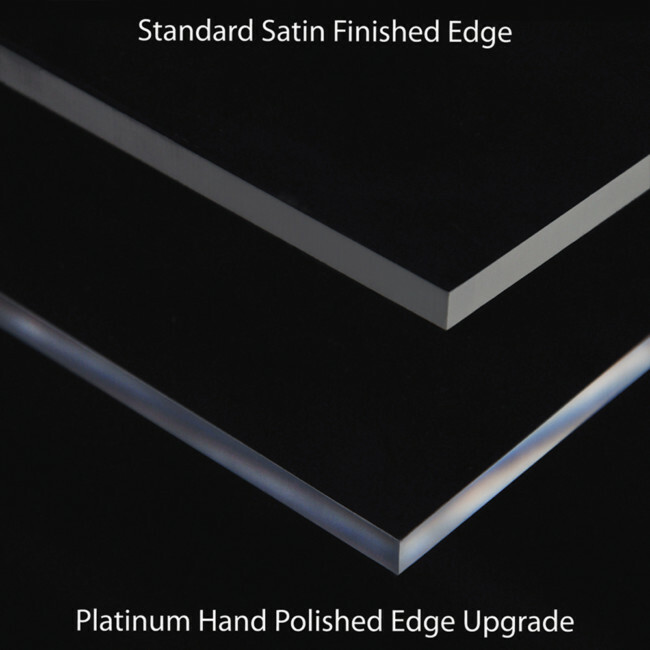 Our design team is always available to help you decide on the right version and finish for your modern image display project. Both the Quick-Mount and Stand-Off versions use the same modern cap hardware. They look the same from the front and its only when you view them from the side that you see the difference. 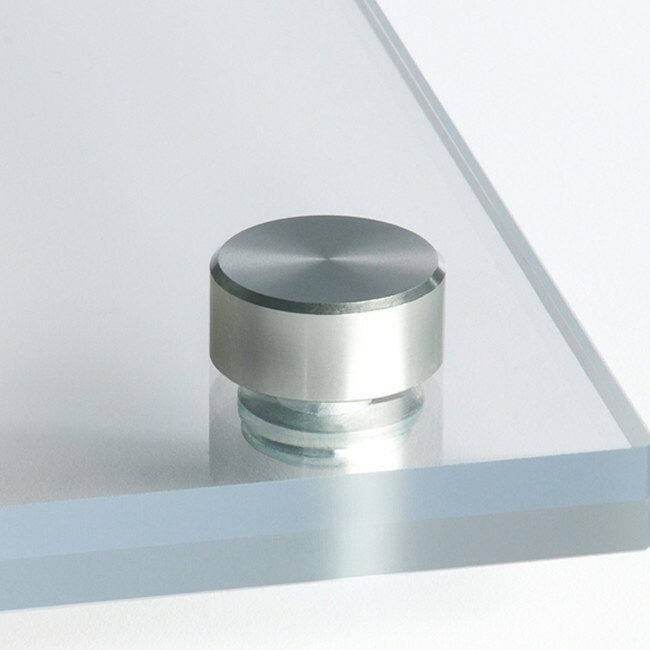 The Quick-Mount version uses a clear acrylic bracket which floats the frame about a 1/2″ off the wall. This bracket is hidden behind the graphic being displayed therefore a clean minimalist look is achieved. Less damage to walls and ease of hanging makes the Vetro Quick-Mount version a top choice of commercial clients nationwide. The Stand-Off version is for those on a tighter budget or who desire the Stand-Off hardware look. If you intend to display a transparent item or plan to frame various size pieces in a single modern frame, the Stand-Off version is the best solution. In these type of situations you might see the bracket behind your graphic using the quick-mount version. 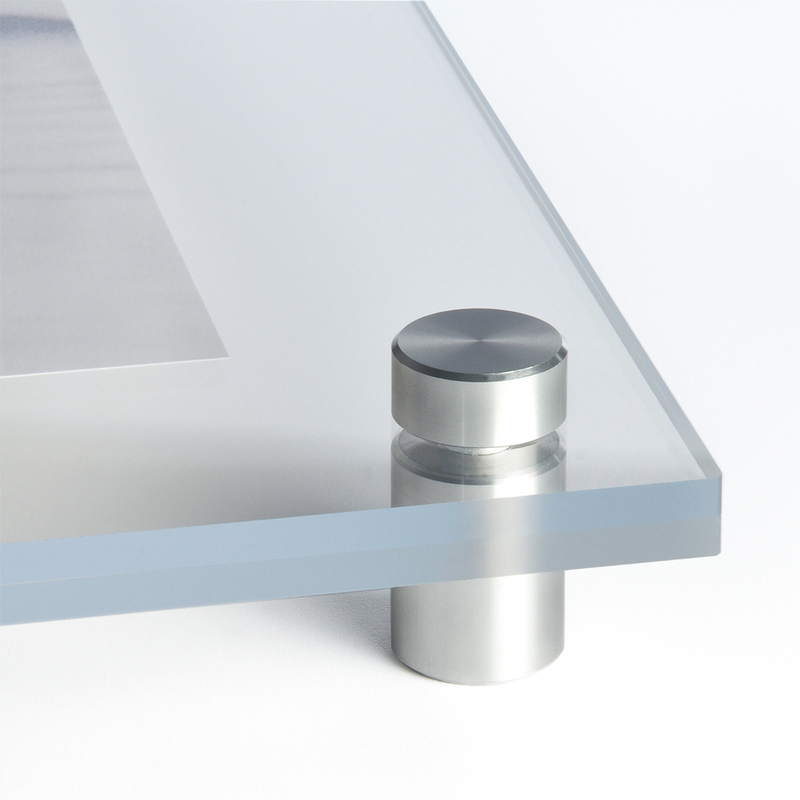 All of our Standard Vetro modern acrylic wall frames come with beautifully finished Satin edges. 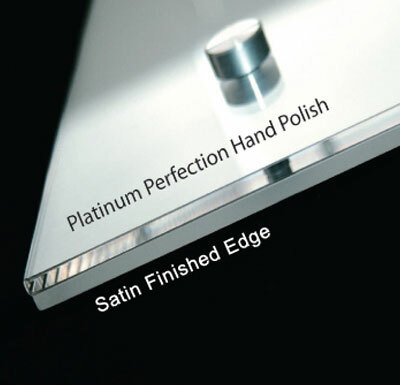 Satin finished edges have a smooth frosted modern appearance (No tool marks). 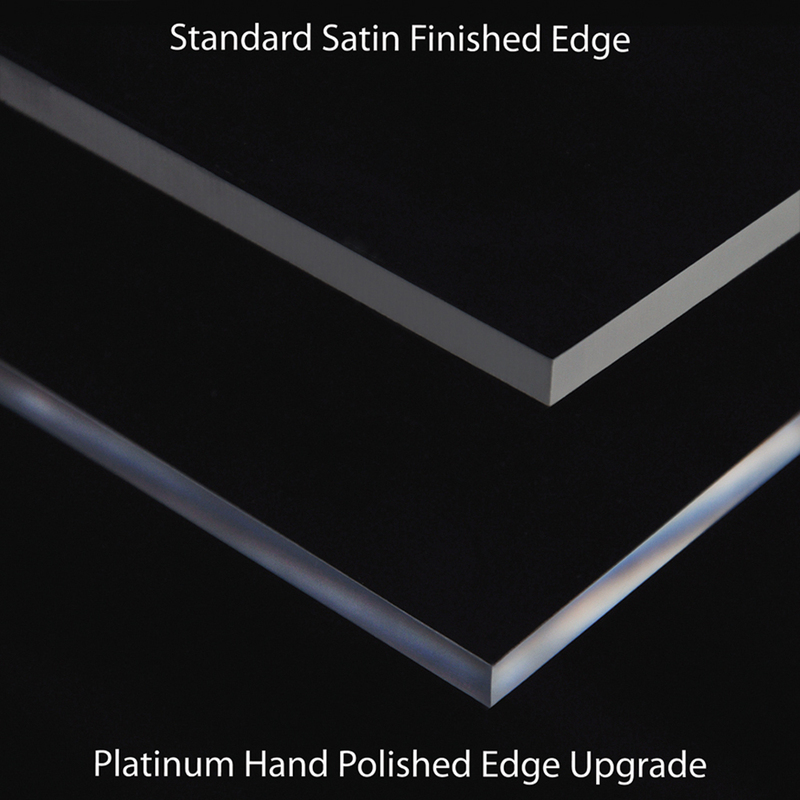 Frames with platinum polish edges (crystal clear appearance) may be ordered in our Custom Configurator. Order your prints during your frame purchase so that everything arrives ready for easy installation. Aluma offers free mounting of prints with all online frame and print orders. Our team of graphic designers are ready to assist you with your file uploads. Instructions on how to upload your optional prints files in the shopping cart. Check out the great volume discounts available for larger quantity projects. Our full service graphics & printing department can help you with all your project’s logistics. Does your print or artwork need a custom size? Try out our custom configurator. You design it! We build it! ALUMA’s VETRO line of modern acrylic picture frames are hand-made and can be custom fabricated to your exact specifications. 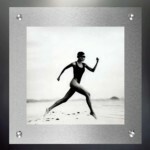 Quick image changes and secure level mounting are a few features of our Vetro line of modern acrylic picture frames. Choose from our Standard line of Vetro frames or design your own custom Vetro frame in our online configurator. 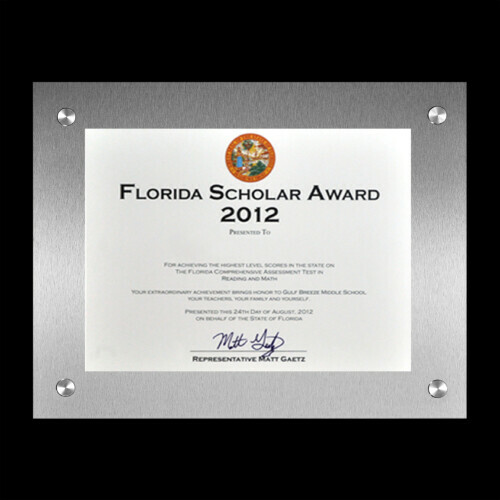 Our Vetro modern acrylic wall frames use beautifully finished acrylic panels to create a modern display solution for displaying your latest project pictures, art, motivational posters, interior signage, recognition walls, awards, or diplomas. The Vetro Modern Acrylic Wall Frame is the ultimate and best stand-off image display system for commercial environments or residential living spaces (unpack this more later). Made to order right here is the US, our Vetro modern acrylic wall frames stands out from the pack. 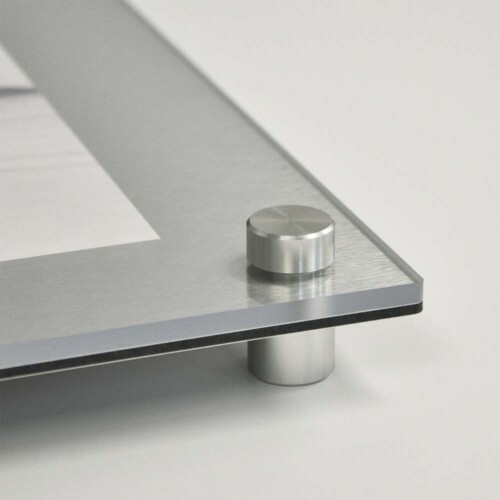 Quality architectural stand-off hardware and close attention to detail make the Aluma Vetro picture frame your smartest choice for displaying images, graphics and or Interior signage. 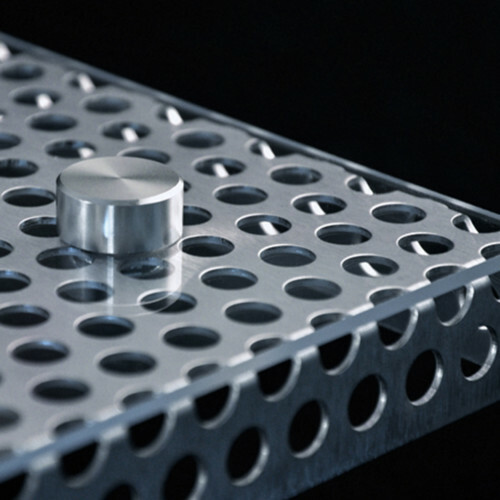 Our Architectural hardware is available in 7/8”and 5/8” round sizes to fit your exact design needs. The turnkey design allows for simple installation while keeping consistent with an eloquent high end modern gallery style. 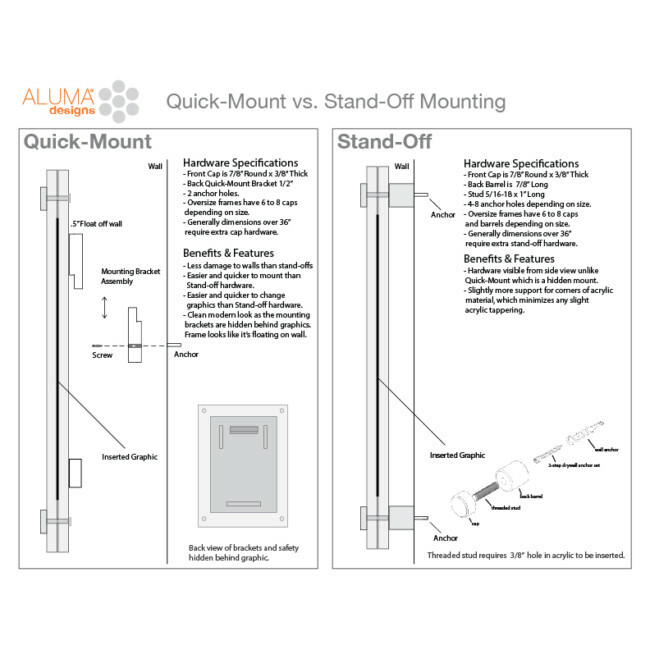 Aluma’s exclusive Quick-Mount version of our Vetro Acrylic Wall Frame allows for even easier image changes as the entire frame can be quickly removed from the quick-mount wall bracket for inserting new images and graphics. 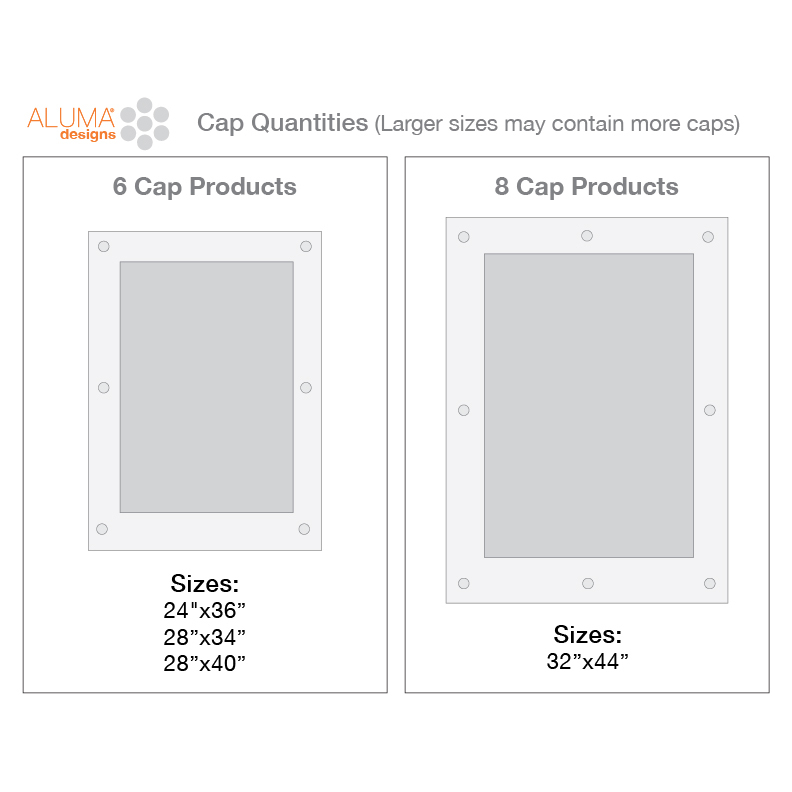 Aluma has a great assortment of standard sizes and can assist you with custom fabricated display systems if your project is more complex or requires that special size. Aluma’s myriad of high-end display solutions, printing and excellent customer service will make your project a reality. Whether you go with our traditional Stand-Off or Quick-Mount version of the Vetro modern acrylic wall frame you will be glad you chose to go with the best in modern display solutions. 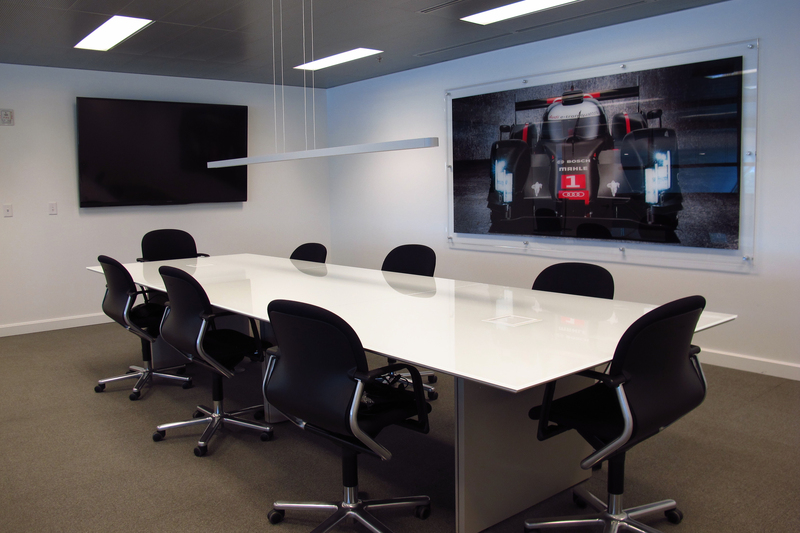 Give our designers a call and let us show you how we can make your space speak to your level of excellence. 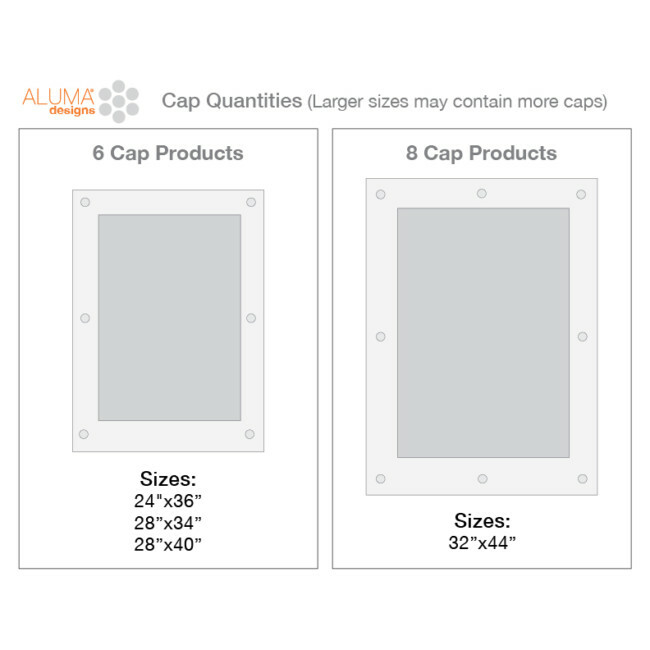 For commercial environments and businesses of all sizes, Aluma’s display systems can be customized for any size interior sign, document or compliance poster. 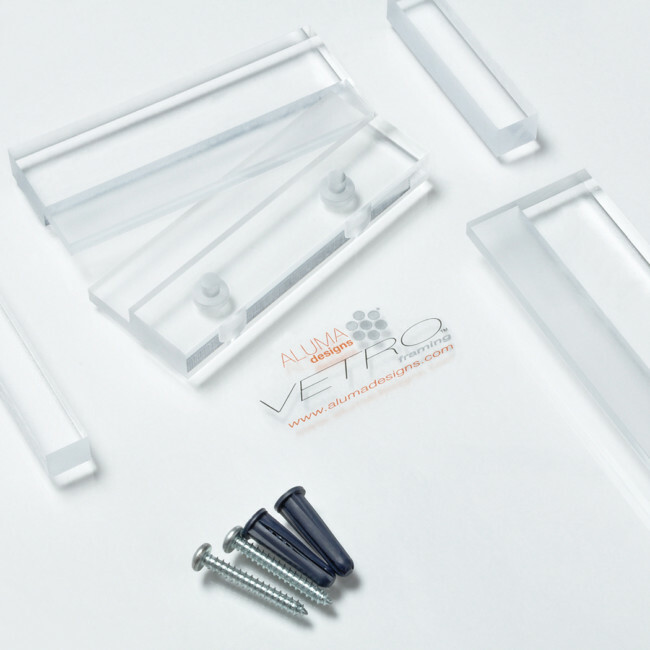 Vetro acrylic wall frames create a modern high-end look for your business from the sleek plexiglass display to the industrial stand-off hardware and an efficient quick-mount solution only offered by Aluma Designs. Inspire your employees as well as your current and future customers by putting your brand, key values, vision statements or compliance policies on display. Featuring quality 1/4″ plexiglass, these bespoke frames are perfect for commercial environments. *Returning customers – please verify hardware sizes on previously purchased frames before selecting your hardware size. If you are unsure please call our customer service department before placing your order. 5/8″ hardware is more proportionally suited to smaller frames or those who want to see less hardware on larger frames. 7/8″ hardware works well with larger frames and has been our standard size hardware for 14 years. A set of hardware is typically added every 34″. Large frames with one dimension greater than 34″ will have more than 4 sets of hardware. Our quick-mount bracket is a transparent acrylic french cleat system which is super easy to mount and floats the frame off the wall by a 1/2”. 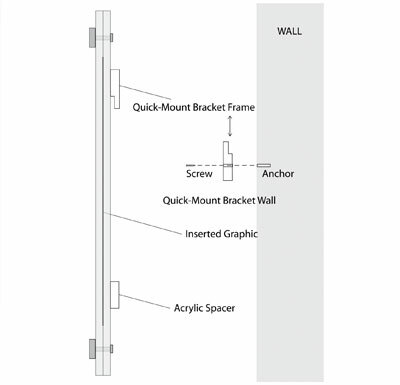 Quick-mount brackets comes in 2,4,6,8,10,12,14 & 16″ lengths depending on selected frame size. -Quickly remove entire frame at once for easy on-site image changes. 8″x10″ Frames in Quick Mount feature a Keyhole mount in place of french-cleat system. -Allow for more flexibility in image size being displayed. -Allow for transparent images to be displayed. -Allow for multiple images to be displayed in same frame. -More damage to walls than quick-mount version. Epson Premium Photo Luster 260 – Wedding, portrait and fine-art photographers have traditionally used luster paper for their photos. Now Epson offers new Premium Luster Photo Paper (260), the upgraded version of its popular Premium Luster Photo Paper (250), to digital print makers. Premium Luster Photo Paper (260) delivers highly saturated prints by offering maximum ink coverage and a high D-Max for true photographic reproductions. Its 10-mil RC base gives prints a photographic feel, and keeps the paper cockle-free. Ideal for use with all Epson Inks. What is the production time for Acrylic Frames? The turnaround time for this product is 3-5 business days (Contact Aluma if you need rush production). Higher quantity bulk orders may vary. How do I install each mounting option? 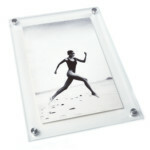 Can I order a custom acrylic picture frame? 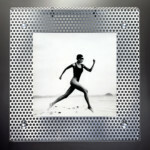 Yes, just go to our online custom configurator and design your custom Acrylic Frame right online. If you experience any problems with the configurator or have questions about sizing or additional features please feel free to give us a call. Should I order a Quick-Mount or a Traditional Stand-Off frame? Both Versions of our frame use the same high quality architectural stand-off hardware and look the same from the front view, they are just attached to the wall differently. 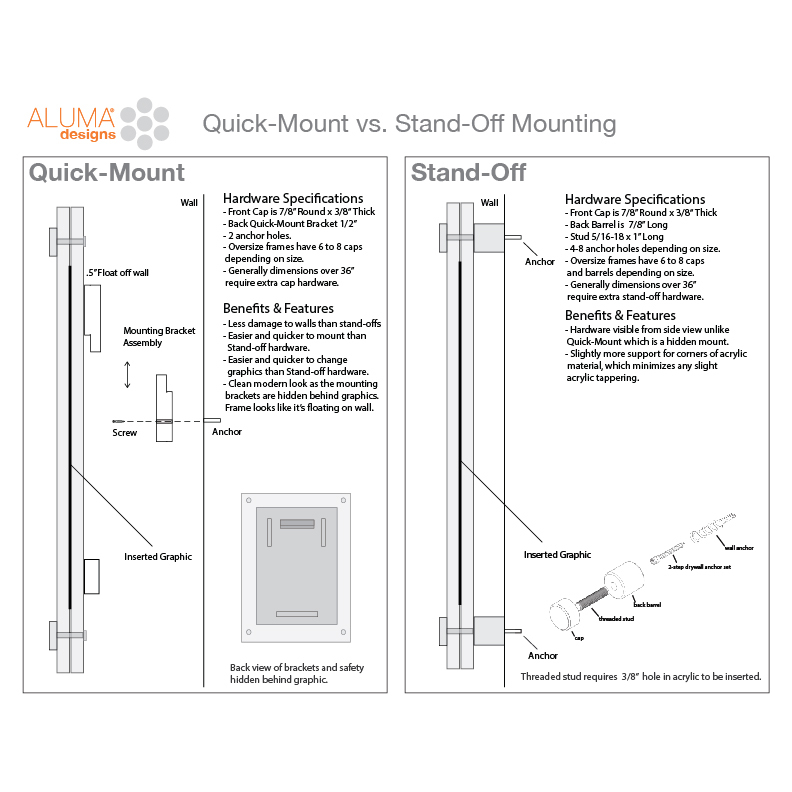 The Quick-Mount version has the look of a standoff system but allows for easier mounting and media changes due to the unique hanging bracket that allows for the frame to be quickly mounted and removed from the wall. The Traditional Stand-Off version is slightly harder to hang and is not quite as easy to change images but is a great option when the items you need to frame are transparent or of a unique size which would make hiding the rear mounting bracket of the Quick-Mount version impossible or difficult. Yes, please see our discount area at the bottom of this page. For XL commercial projects please contact our sales department for a custom quote with reduced pricing and discounted shipping. What comes included with my Acrylic Picture Frame? 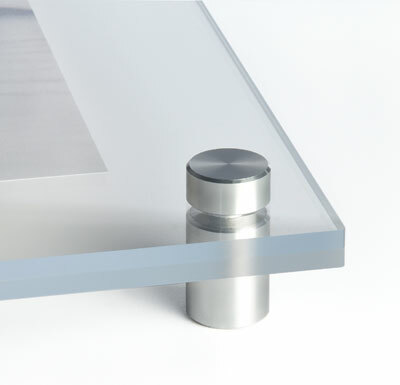 Every frame comes with all the necessary architectural mounting hardware to hang your frame. Can I mount and hang the frame myself? Yes, every frame comes with easy to understand directions and can be hung with just a few simple tools. You can download our framing and hanging directions directly from the product page. What thickness of acrylic do you use in the art frame? We use 1/4” high quality acrylic for both the front and back pieces of the acrylic picture frame. 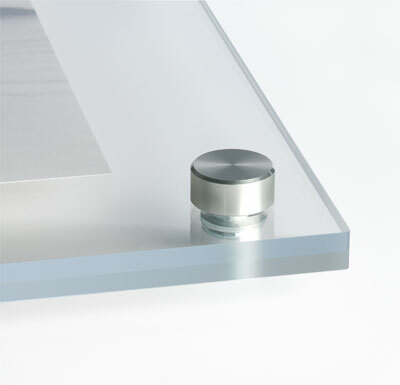 If you have a large project which is on a tighter budget contact our sales department for economy 1/8” acrylic options. *Please note that large frames with 1/8” acrylic tend to flex which can cause spacing between the front and back pieces of acrylic. For this reason we only use 1/4″ acrylic on large frames. Is the art matte frame archival? Museum grade materials and custom acrylic mats are available upon request. The custom cut and polished transparent mats may be inserted in between the two solid layers of acrylic to keep the top layer of acrylic from touching your artwork. However, due to the frame less design all acrylic sandwich style frames will allow small amount of dust to enter the framing system over time. Standard 1/4″ acrylic is inherently 80-90% UV blocking for 98% UV block please contact our sales department for a custom quote. All of our art frames are hand-made here in the USA and have exceptionally finished edges. Acrylic is great in that it does not break and is lighter than glass, however it does scratch and must be handled with care. Never use glass cleaner on any acrylic product. 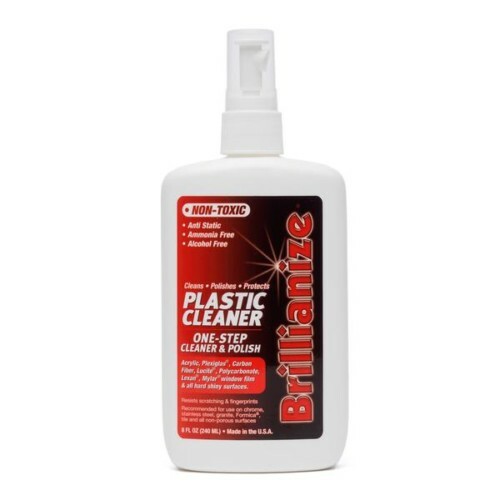 We recommend using a specialty acrylic cleaner and polish like Brillianize. (May be purchased in the hardware section of our online store)Custom Made frames are made to order and cannot be returned. Standard sizes may be returned at customers expense if protective masking has not been removed. Shipping charges will not be refunded and a 20% restocking fee will be deducted from your refund.